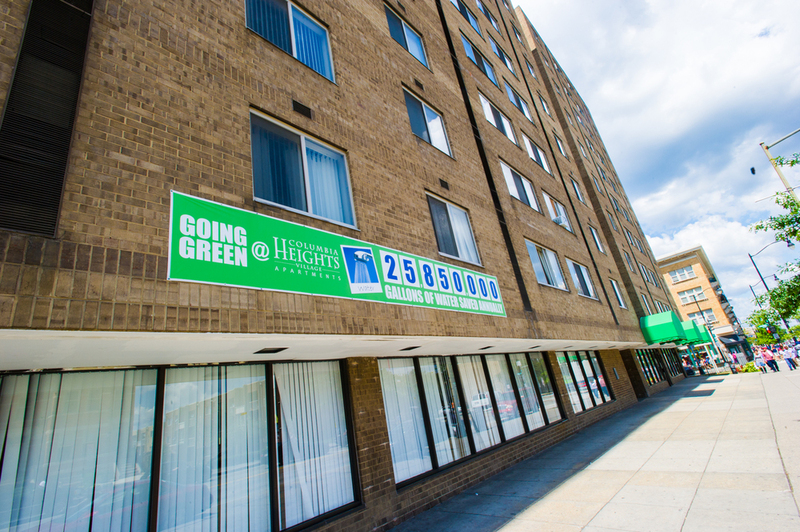 Our energy team implemented a comprehensive utility savings package, estimated at saving $228,000 annually, for Columbia Heights Village Apartments – a 406-unit, 31-building affordable apartment community in Washington, D.C. As part of the initiative, we installed energy-efficient lighting in the common areas and exterior areas of the building, and upgraded water fixtures in each of the residential units with high-efficiency toilets, showerheads, and faucet aerators. In total, utility conservation measures at Columbia Heights Village reduce water consumption by approximately 24 million gallons and electricity consumption by 100,000 kWh per year. During the first year of implementation, water savings measures cut consumption by 60% compared to the previous year. Our team went beyond traditional energy conservation measures to implement creative strategies that further reduced energy consumption. 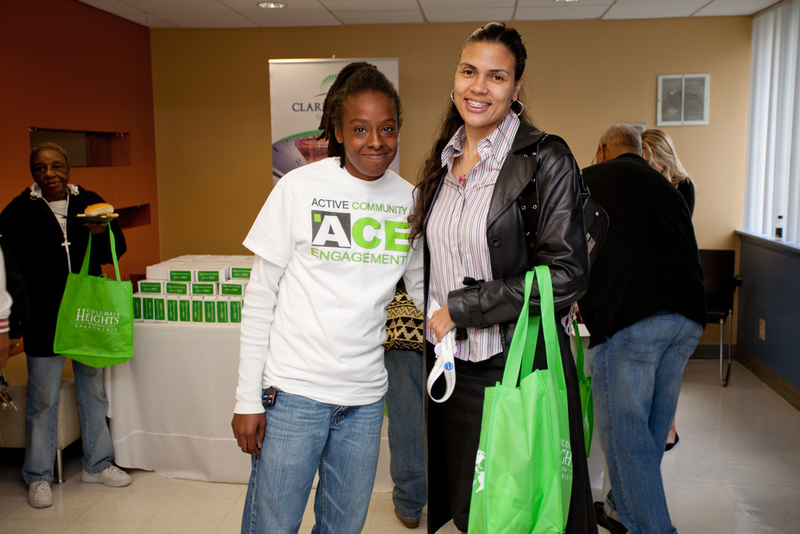 We held multiple “Energy Awareness Days” at the property, featuring training materials and fixture demonstrations, to inform tenants of energy and water retrofits taking place and ensure that residents were involved in every step along the way. This intensive level of tenant engagement resulted in savings beyond the original estimates. Our team also undertook a renewable energy initiative by installing a rooftop solar photovoltaic (PV) system. This PV system is estimated to produce 25 MWh of electricity per year and meet approximately 5% of the common area’s electrical demand. According to the National Renewable Energy Laboratory, at the time of installation, this was the third-largest PV in the District of Columbia.